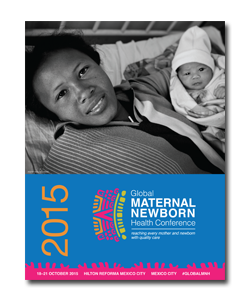 Background: In Malawi maternal mortality remains high. Existing maternal death review fails to adequately review most deaths or capture those that occur outside the health system. We assessed the value of community involvement to improve capture and response to community maternal deaths. Methods: We designed and piloted a Community-linked maternal death review (CLMDR) process in Mchinji district, Malawi, which partnered community and health facility stakeholders to identify and review maternal deaths and generate actions to prevent future deaths. The CLMDR process involved five stages: community verbal autopsy, community and facility review meetings, a public meeting and bimonthly reviews involving both community and facility representatives. Results: The CLMDR process was found to be comparable to a previous research-driven surveillance system at identifying deaths in Mchinji district (population 456 500 in 2008). 52 maternal deaths were identified between July 2011 and June 2012, 27 (52%) of which would not have been identified without community involvement. Based on district estimates of population (500 000) and crude birth rate (35 births per 1000 population) the maternal mortality ratio was around 300 maternal deaths per 100 000 livebirths. Of the 41 cases that started the CLMDR process 28 (68%) completed all five stages. We found the CLMDR process to increase the quantity of information available and to involve a wider range of stakeholders in MDR. The process resulted in high rates of completion of community-planned actions (82%) and district hospital (67%) and health centre (65%) actions to prevent maternal deaths. Conclusions: CLMDR is an important addition to the established forms of maternal death review. It shows potential as a Maternal Death Surveillance and Response (MDSR) system, and may be applicable to similar contexts with high maternal mortality. CLMDR is being scaled-up in Malawi; we encourage others to explore, test, develop, adapt and adopt the approach. Background: A women’s group community mobilization intervention in rural areas of Bangladesh in 2009-2011 reduced neonatal mortality by 38% and improved hygienic delivery and essential newborn care practices. We followed-up all children conceived and delivered to women directly exposed to the women’s group intervention and a random sample of control children conceived at the same time to explore differences in anthropometric outcomes at ages 2 to 4 years. Methodology: A cross-sectional survey of 1261 mother-child intervention pairs and 1311 control area pairs by trained fieldworkers at the child’s home collected child’s weight, height, abdominal, head, chest and mid-upper arm circumferences, triceps measurements and sub-scapular skinfold thickness. Maternal weight, height and BMI were also measured. Analysis used z-scores from WHO child growth standards. Results were stratified by maternal BMI, using BMI classification for Asian populations (<18.5 Underweight; 18.5-22.9 Normal range; >23 Overweight), and adjusted for maternal age, education and household asset ownership. Results: Among children whose mothers were underweight at the time of the survey, those whose mothers were exposed to the women’s group intervention at the time of conception (n=391) had significantly (p<0.05) higher BMI, weight-for-length, head circumference, abdominal circumference and mid upper arm circumference z-scores than children whose mothers were not exposed to the intervention (n=352). No effect was seen in children whose mothers had BMI in the normal category (n=606 control; n=605 intervention), although MUAC increased in children of intervention mothers. Among overweight mothers, intervention children (n=265) had significantly lower weight-for-age and weight for length z-scores compared with controls (n=353). Conclusion: Participatory women’s group intervention may have a positive impact on anthropometric outcomes for children born to underweight mothers. Differences could be of nutritional and metabolic significance in child development. Background: India has made progress in reducing maternal mortality by increasing access to maternal health care. Institutional delivery rate continues to increase but will be jeopardized if the quality of care received at health facilities is not improved. Quality of care is not only important to ensure improved maternal health outcomes, but is also an important determinant of whether and in which facility women choose to deliver. Women typically rely on word of mouth to determine where to seek maternal health care. WRA India saw a need to identify and promote strategies that are rooted in linking women in the process of improving quality of care. Methodology: A multi-stakeholder consensus process was adopted to develop a prioritized list of indicators for quality of care from the woman’s perspective. A first of its kind crowdsourcing platform, free and accessible from any mobile phone, was developed to both “push“ out information to women seeking maternal care on what constitutes quality maternal health care as well as “pull” in women’s ratings of the quality of care received by them. A pilot was conducted with 400 pregnant/lactating women across 20 villages in Jharkhand, India, to test the feasibility of the interactive voice response (IVR) platform. Results: Results demonstrate that IVR platform is a viable medium for rural, illiterate women to engage with, learn from, and provide feedback on quality of care received. Women indicated that health facility quality of care ratings would influence their future choice of facility. Facility administrators and government officials were receptive to receiving women’s feedback to improve care. Conclusion: The model has the potential to influence users understanding of quality of care and their entitlements and build a rich database of community-generated information. Thereby empowering women to demand quality of care and push service providers to offer quality care. Background: The Government of Uganda committed to ensuring that by 2015 all sub-county and county health centers will provide basic emergency obstetric and newborn care services (BEmONC) and half of county health centers will provide comprehensive emergency obstetric and newborn care (CEmONC) services. By 2013, despite the Government’s commitment, health centers remained understaffed and ill equipped. Methodology: WRA Uganda brought together district leaders, community members, midwives, and District Health Officers to conduct health facility assessments in 43 government-funded health centers in the districts of Kabale, Lira, and Mityana. WRA Uganda mobilized citizens by engaging them in dialogues about their rights to EmONC and supporting them to influence planning and budgeting process at district level. In addition WRA Uganda supported District Health Officers to utilize the collected evidence to prepare annual health plans and budgets and worked with the government to review bottlenecks in the procurement process and develop solutions to better meet the needs of each district. Results: As a result of WRA’s work, the Government of Uganda provided an 18% salary increase for enrolled midwives, nurses, lab and anesthetic assistants, as well as a 13% salary increase for registered midwives, nurses, anesthetic officers, theatre assistants, lab technicians, and medical officers. In addition the government conducted a nation‐wide rapid assessment of staffing at health centers with a plan to recruit 2,400 health workers. Mityana District secured newborn resuscitation devices, delivery instrument sets and blood pressure machines. Kabale District, among other things, recruited and placed a medical doctor in every health center in the district and installed solar lighting in maternity wards. Conclusion: As a result of the WRA Uganda campaign, the Government of Uganda accelerated progress on its commitment and more women now have access to lifesaving emergency obstetric and newborn care. Background: In Nepal there are incidences of disrespect and abuse in both private and government health facilities. To address the problem, Safe Motherhood Network Federation (SMNF) launched a campaign to increase visibility of the problem, mobilize citizens to demand provision of RMC and advocate for inclusion of RMC rights framework in the Safe Motherhood Bill. Methodology: SMNF used media to raise awareness about RMC and facilitated community dialogues in five districts to amplify community voices and collect evidence to shape the integration of the RMC Charter into the Safe Motherhood Healthcare Bill. SMNF facilitated dialogues among key stakeholders including government agencies, non-governmental organizations, international non-governmental organizations, professional associations and health workers to support the inclusion of RMC in the draft Bill. In addition SMNF brought the issues of respectful care to the attention of political parties’ representatives and mobilized them to support the Bill and advocate to the Ministry and policy-makers to pass the Bill. To support health workers, SMNF produced a strategy paper that was ultimately presented to the Ministry of Health as a roadmap for instituting RMC training for health workers nationwide. Results: As a result of SMNF’s efforts RMC rights framework and language was included into the national Safe Motherhood bill, thereby ensuring that RMC standards are incorporated into law and in-service curricula for all professional disciplines involved in providing maternal care. In addition, the Ministry of Health has charged SMNF with leading the development of an action plan for RMC training for all health workers in Nepal. Conclusion: SMNF continues to mobilize community to demand their right to respectful care and demand that the government prioritize the need to train health facility employee and fund pilot training programs in 5 districts. Background: The Government of Tanzania has failed to deliver its commitment to ensure that 50% of health centers provide CEmONC by 2015. Health facility assessments conducted in 2013 in Rukwa region, serving a population of more than one million citizens, found that none of the health centers were providing CEmONC, health centers lacked critical infrastructure, equipment, and supplies, and most health centers did not have the health workers necessary to provide emergency services. Methodology: Equipped with information from the assessments, E4A/WRA Tanzania set out to address the lack of citizen’s engagement and accountability and advocate for district and regional plans. While supporting citizens in advocating to district and regional policy makers, WRA Tanzania also worked to support district and regional policy makers and planners to respond and act on the citizens’ demands. At the national level WRA Tanzania persuaded the Prime Minister to require districts to include a specific line item for CEmONC in their annual budgets, so that allocation and spending on CEmONC would be transparent and could be monitored. Results: As a result of WRA’s work, all 169 districts of Tanzania included a specific budget for CEmONC in their 2015 Comprehensive Council Health Plans. As of April 2015, Rukwa region has succeeded in ensuring that 50% of health centers provide CEmONC. Women in each district of Rukwa now have access to life saving care. Moreover, citizens remain engaged and are working with health facility mangers and officials to monitor progress and improvements in CEmONC. Conclusion: WRA Tanzania’s campaign has addressed the barriers to the implementation of CEmONC in Rukwa and demonstrated that progress can be accelerated in a short period of time with concentrated effort, community engagement and political will. What is the Minimum Exposure to Mobile Messaging Needed to Improve Maternal and Newborn Health Knowledge, Practices and Demand for Services in Bangladesh? Background: While there is general consensus on the potential of mobile messaging for behavioral change and improved health status, there is little empirical evidence to inform and influence governments and industry partners to invest in nationally scaled mobile messaging programs. This study seeks to address that evidence gap by exploring changes in knowledge, practices and demand for services relating to maternal and newborn health affected by a mobile messaging service in Bangladesh, called Aponjon. Methods: Retrospective observational study with propensity score matching (PSM) was utilized. Data was collected in two phases. In phase one, household listings were conducted to identify mothers who delivered a baby within the last 0-6 months and 7-12 months. In phase two, the best-matched samples (treatment and control) were selected (255 users, 389 non-users within 0-6 months post-partum and 345 users, 484 non-users within 7-12 months post-partum) for final interview using a structured questionnaire. Use of Aponjon services for at least three months during pregnancy or early postpartum was the criteria for the treatment groups. Results: Three months of using Aponjon services was not related to increased maternal and newborn health knowledge, practices or demand for services. However, mothers using Aponjon for at least six months during pregnancy were more than three times more likely to have increased knowledge and uptake of recommended practices and services relating to maternal care as compared to the control group. At least six months of Aponjon use during post-partum also had a positive effect on mothers’ knowledge on newborn care. No intervention effect was observed on recommended practices and services for newborn care. Conclusions: At least six months exposure to Aponjon messaging is needed to have an effect on increased knowledge on maternal and newborn care. 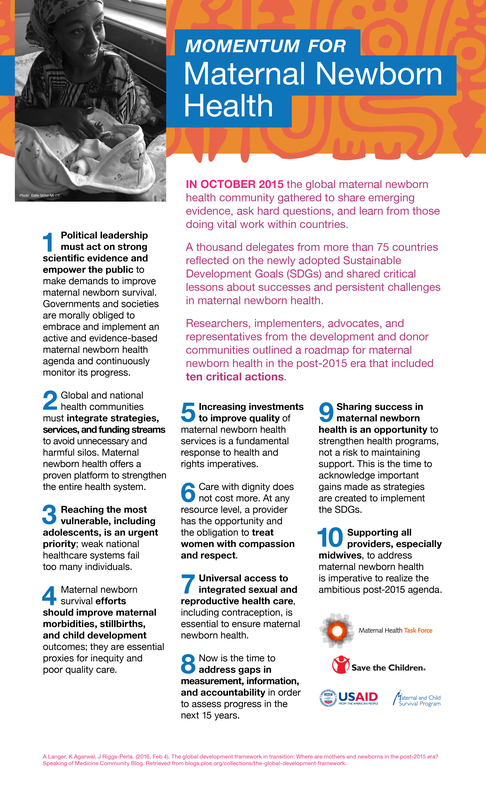 Similar exposure can also bring change in uptake of maternal health-related practices and services. This entry was posted on October 11, 2015 by David Marshall. Background: mMitra is a free mobile voice call service of ARMMAN India, supported by MAMA, for pregnant women and new mothers living in the slums of Mumbai. The voice calls are offered in Hindi and Marathi, specific to subscribers’ gestational age or age of the infant. Women are enrolled in the service through partnerships with government and municipal hospitals, Integrated Child Development Services (ICDS) and local NGOs. Methodology: A qualitative study is underway to explore the effects of mMitra on women’s beliefs, and ultimately, on demand for health services. Sixteen focus group discussions (FGDs) will be held with subscribers – primary respondents – and eight in-depth interviews (IDIs) with secondary respondents – healthcare service providers – to substantiate the findings. Subscribers will be selected based on demographic and socioeconomic factors, obstetric history, mobile ownership and duration of receiving the mMitra service. Methods: This study targets: pregnant women with 2 FGDs each for those (1) less than 3 months, during 3 – 6 months and 6 – birth; (2) new mothers less than 3 months postpartum, 3 – 6 months, 6 – 12 months, and greater than 12 months. Service providers included doctors at 4 hospitals and in IDI’s 1 nurse. Expected Results: Secondary data demonstrates awareness of available services is high among our target population, however clinical indicators among pregnant women show poor performance. Thus, the priorities of this study revolve around mMitra’s targeted information and guiding women to adopt specific actions and interventions. The study also explores whether the service emboldens subscribers to ask more questions or demand more interventions and commodities during clinical visits. This presentation will discuss the study and findings and is aimed to inform program implementers and government stakeholders on the range of effects of mMitra in generating demand for services and commodities. Background: Nigeria has made major progress towards MDGs 4 and 5, however its contribution to global maternal and child mortality is still substantial. To generate service demand, and build on recent improvements in availability and quality of Maternal and Child Health (MCH) services at sites supported by the Nigerian government’s Subsidy Reinvestment and Empowerment Program (SURE–P). Pathfinder Nigeria and Praekelt are partnering with Mobile Alliance for Maternal Action (MAMA) and Baby Center to provide stage-based messages to pregnant women and other influential family members. Methods: In order to go beyond simple information provision, and successfully support changes in behavior, health promotion interventions must consider the range contextually specific behavioral influences. To prepare for message content adaptation and locally appropriate delivery design in MAMA Nigeria, formative research is now being conducted using Pathfinder International’s Pathways to Change Methodology (PtC). This theory-based game-centered rapid research tool is played with small homogeneous groups of the target audiences and stakeholders (i.e. younger/older mothers, husbands, health workers, birth attendants, elders and community leaders, from communities closer and farther from health facilities). Using fictional character profiles, players identify the individual, socio-cultural and structural factors that make home-based MCH behaviors and service-seeking behaviors (including facility delivery) harder or easier. Results: Emergent themes from six initial PtC sessions include: need to engage husbands in behaviors requiring resources allocation, including birth planning; concerns of women and influential gatekeepers about the safety and utility of many biomedical maternal health practices; home-based birth as the ‘normal’ and preferred option for most women. Conclusions: Findings suggest that the intervention should include: client education about what to expect during the service encounter, followed by opportunities for clients to provide feedback on service quality, linked in turn to mechanisms for health system utilization of feedback. Twelve additional PtC sessions will be conducted. Background: To date, the mHealth sector lacks rigorous, quantitative evidence linking mobile messaging programs to significant behavioral change and improved health outcomes. This evidence gap limits the integration of mobile messaging strategies into national health system strategies. MAMA’s early research findings, while encouraging, were limited. Survey methods lacked significant sample sizes and scientific comparators (i.e., baselines or control groups) and only explored usability, satisfaction and trust — not outcomes. Methods: MAMA developed a Research Agenda to address this evidence gap and guide MAMA’s approach to evaluating the intervention effect on demand for health services across MAMA programs in Bangladesh, India and South Africa. Each evaluation team designed a mixed-methods experimental study that maps to the overall MAMA research framework and applies similar quantitative methodologies to enable comparisons across MAMA programs. These studies include statistically significant samples with control groups to ensure a high degree of scientific rigor. Results: MAMA now has on-going trials measuring targeted behavior and health outcomes in each country, and even specific biological markers associated with the most challenging health priorities in India and South Africa. Conclusions: The graduation from self-reported claims of behavior change to the use of clinical data is a significant advancement for the rigor and scope of MAMA’s evaluation methodologies. This presentation delves into the Research Agenda, showcasing specific health priorities and associated clinical services, commodities and biological markers examined. The Research Agenda is also aimed to contribute to the evidence base for mHealth as well as to MAMA’s momentum toward integration into national health systems. Findings will be shared through peer-reviewed journals.